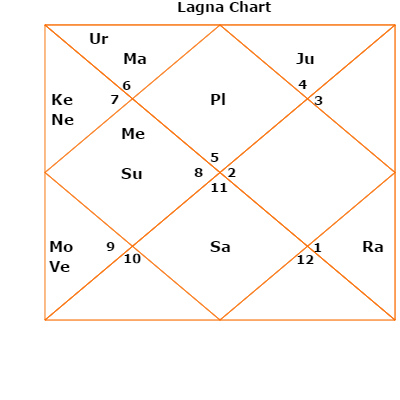 Navamsa Divisional Horoscope Or Varga birth Chart calculations and what is it? In case of navamsa calculation, for a movable rashi it is calculated from the sign itself. For Fixed rashi or sign, from the 9th sign and for a Dual sign(like Gemini, Virgo etc) from the 5th sign onward. This is one of the most important divisional charts, which is next to lagan. It is found that in lagan fortune is ruled by mars, which rules 9th– but is not very strong. So over all it means anger or haste could spoil the fortune possibilities. Also in navamsa chart-the lord of fortune mercury is swagrahi(in own house) in 12th house. So it means the fortune may not be great as such. Also on 9th planet Saturn sits , which blocks fortune. 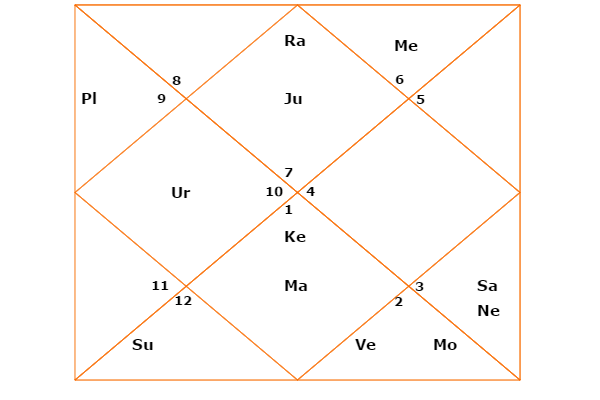 The karaka for fortune Jupiter is not very strong, but in ascendant and rules 6th house of obstacles along with rahu sitting nearby. All this suggests a tough life for this person. He will come up by his own hard work and merit. Once again all these predictions are 100% correct for this horoscope.